LONDON – New UK taxes on car emissions are having the intended effect of convincing consumers to buy low-emissions vehicles. 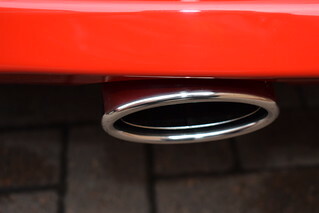 Society of Motor Manufacturers and Traders of the UK has reported that new car registrations in the country have slowed down since the introduction of new emissions taxes. In June this year a total of 243 454 new cars were registered, a level which is estimated to be 4.8 percent lower than in the previous month. Similar decreases have been seen since March this year, thought the Society claims that the extent of the monthly reductions has been diminishing. The drops in purchasing may have been caused due a relative increase in sales prior to April, when consumers opted to buy cars prior to the tax hike. The new emissions tax is levied at a fixed amount which varies based on the level of CO2 emissions released by the vehicle per kilometre driven. Due to the nature of the tax, consumers have steered away from heavy vehicles and diesel cars, instead opting for smaller cars and electric vehicles. In fact, over the month alternative fuel vehicles saw the biggest jump in demand, as a 29 percent year-on-year increase in sales.